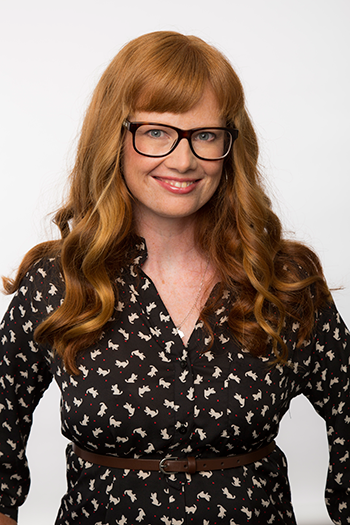 Maryanne Lewell, UNB PhD candidate in history and a Saint John High School history teacher, will put her knowledge to the test on Canada’s Smartest Person this Sunday at 8 p.m. on CBC television. Lewell is no stranger to the world of television quiz shows. She was a contestant on Jeopardy in October 2013. It was truly a life-changing appearance for Lewell – that’s where she met the man who became her fiancé. Canada’s Smartest Person bills itself as a general knowledge quiz show, placing more emphasis on problem-solving and critical thinking than automatic recall of facts and figures. Every week, it puts four participants through their paces in six different areas of knowledge – linguistic, logical, visual, physical, musical and social. Only one participant each week moves on to the final. Her experience as a grad student has come in handy, she added. "Grad school is all about critical thinking. Communication and language skills are part of what I use every day! In my PhD work, and also in my teaching job." Lewell was selected to appear on the show after an extensive application process. After completing and online test and submitting a video last spring, she was chosen for an in-person interview. Eventually she was given the good news that she had secured a place in this season’s second episode.